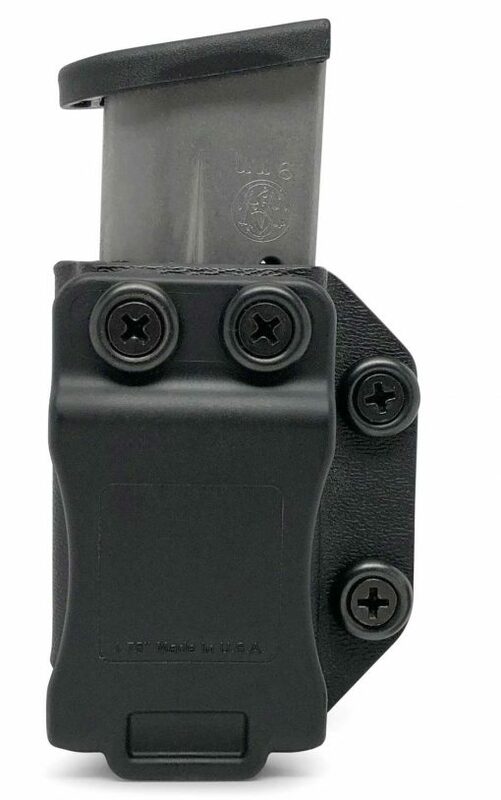 IWB/OWB KYDEX Single Magazine Carrier has a very flat profile, with great stability, while the open top allows a smooth and easy withdraw. 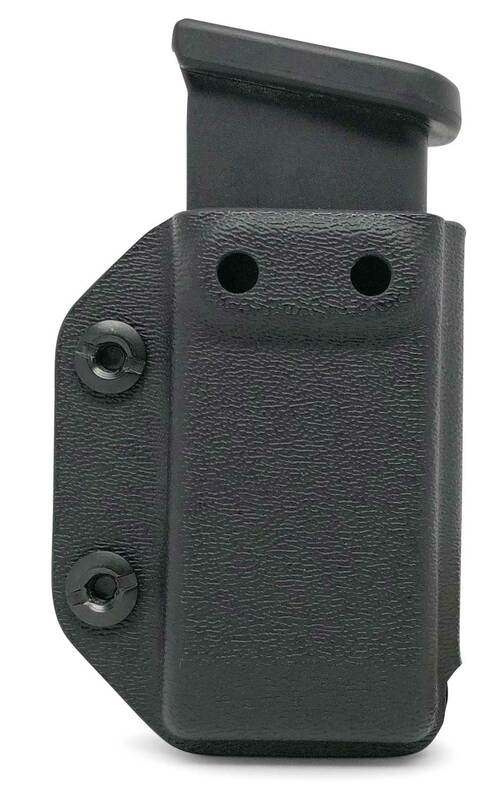 This minimalist, ambidextrous, IWB/OWB KYDEX Single Magazine Carrier lets you carry your spare magazine with you at all times. It will protect your magazine from moisture while remaining extremely lightweight and durable. This carrier is for every-day, all-day extended concealed carry and you can position it anywhere around your waist. 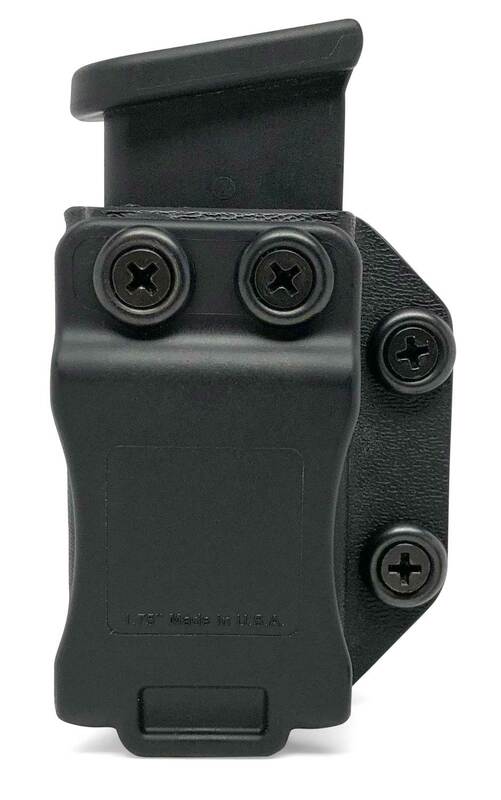 Extremely versatile with mounting holes on both sides to accommodate your preferred carry position for either IWB/OWB Carry and Right Hand/Left Hand Draw. 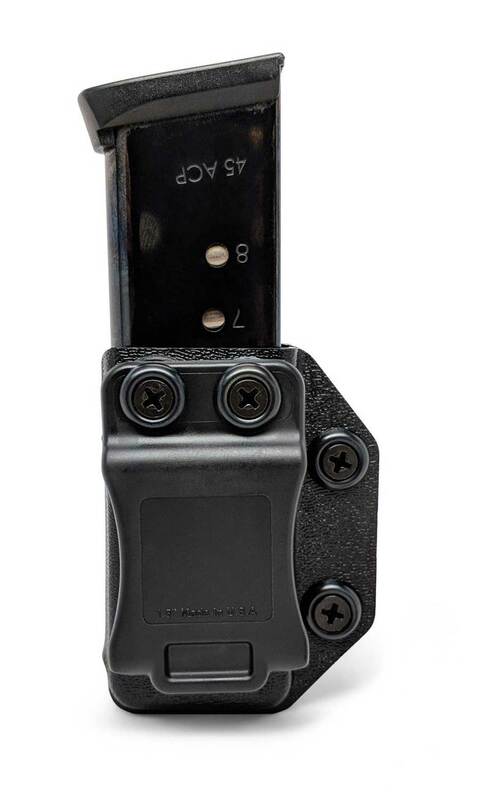 Magazine Carrier comes fully assembled for Right Hand IWB Carry, but is easily reconfigurable with just a Phillips screwdriver. The fully adjustable retention makes it easy to setup your carrier just right for you. Comes with a Belt Clip that fits belts up to 1½ inches. Only top-quality, USA made hardware is used, and all the screws are pre-dressed with threadlock, so they stay put no matter what. The design holds the magazine very close to your body for maximum concealment. 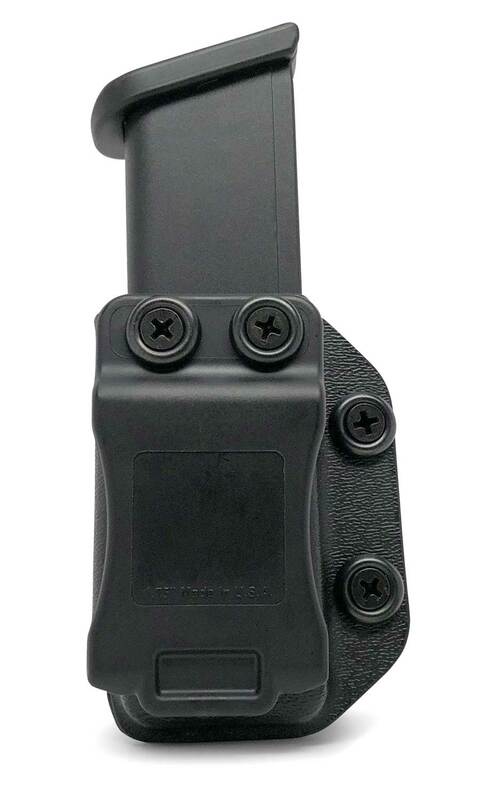 The IWB/OWB KYDEX Single Magazine Carrier is a quality carrier designed for no-nonsense, practical everyday use. Can be put on and taken off quickly, without having to remove your belt. MULTI-POSITION: Place the magazine carrier anywhere around your waist. CONCEALMENT: Provides great concealment for your magazine. IMMEDIATE ACCESS: You have immediate access to your magazine. FAST WITHDRAW: Open top design offers a smooth, fast withdraw. Magazine carrier is not universal and is only designed to fit the model of magazine/gun specified. Money Back Guarantee: If you’re not more than delighted with the carrier’s quality construction, unsurpassed versatility and comfort, just return it within one year for a full refund.